‘Brothers,’ ‘Hereditary,’ More ‘Good Karma’ Among This Week’s New Titles on Home Entertainment … Plus a Giveaway!!! THE BIG TAKE. (DVD Artwork). ©Sony Pictures Entertainment. 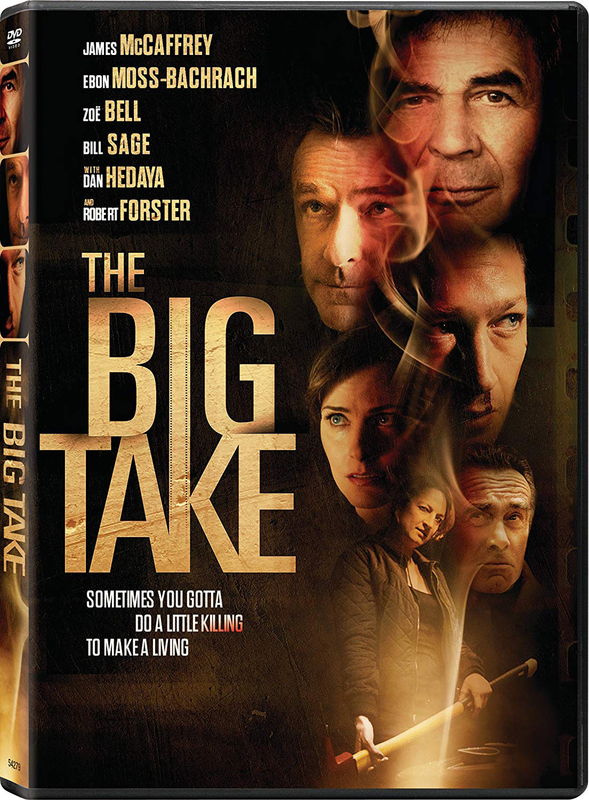 It’s murder to make a movie in the Hollywood crime-thriller “The Big Take,” available on DVD and Digital Tuesday Sept. 4 by Archstone Distribution via Sony Pictures Home Entertainment. “The Big Take” was produced by Jen Gatien (“Midnight Sun,” “For Ellen”) and co-produced by Nick Daly and Matthew Kehoe. The executive producer is Riaz Tyab. The close relationship between two brothers is ripped apart during the 1936 Chinese civil war when they end up on opposite sides of the conflict in the action drama “Brothers,” debuting on digital and DVD Tuesday Sept. 4 from Well Go USA Entertainment. Directed by Kiefer Liu (“Don Quixote”), the film features a striking visual look with black and white images interspersed with random flashes of color and pared-down CGI backgrounds. “Brothers” stars Ethan Li (“The Blue Cornflower”), Peter Ho (“The Monkey King”) and Xia Zitong (“The Monkey King”). Once a poor vagrant, Chen Tiejin has risen through the ranks of the Red Army and is now a brave and experienced company commander. During a dangerous rescue mission, Commander Tiejin and his Red Army troop are locked in heated battle with the Kuomintang soldiers. Raising his weapon to deliver the final blow, he stops dead— the soldier is none other than his brother he lost five years before, now working alongside the enemy. In a time of hardship and war, brotherly love must bridge the divide in order to find peace. From the co-creator of “The Texas Chainsaw Massacre” comes “Found Footage 3D” on Blu-ray + DVD Combo Pack, Blu-ray and DVD Tuesday Sept. 4. When he’s hired to document the behind-the-scenes action of the ultra-low-budget horror movie “Spectre of Death” (believed to be the first 3D found-footage horror film), an aspiring filmmaker packs up his camera and travels with the film’s crew to a creepy cabin in the woods. But, when the fictional evil presence from their film begins appearing in his behind-the-scenes footage, he has to figure out how to stop it before it finds its way into the real world. Extras on the Blu-ray include a commentary by director Steven DeGennero, a second commentary with producers Scott Weinberg, Randi Ludwig and Charles Mulford, outtakes (also on the DVD), deleted scenes (also on DVD), extended footage and the trailer. “Found Footage 3D is available for a suggested retail price (SRP) of $32.98 for the Blu-ray + DVD Combo), $29.98 for the Blu-ray and $26.98 for the DVD. RLJE Films presents the horror film “Trench 11” on VOD, Digital and DVD on Tuesday Sept. 4. Directed by Leo Scherman (“Never Forget”) who co-wrote the film with Matthew Booi (“Wild Things with Dominic Monaghan”), “Trench 11” stars Rossif Sutherland (“River”), Robert Stadlober (“Enemy of the Gates”) and Charlie Carrick (“The Devout”). “Trench 11” will be available on DVD for an SRP of $27.97. 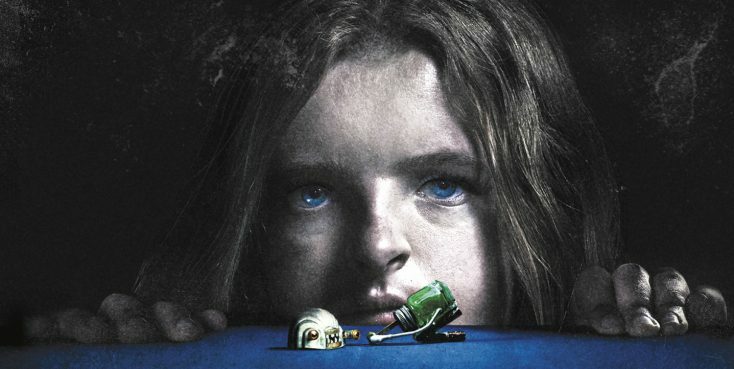 A family’s darkest secrets surface when “Hereditary” arrives on 4K Ultra HD Combo (plus Blu-ray and Digital), Blu-ray Combo (plus DVD and Digital), and DVD Tuesday Sept. 4 from Lionsgate. Academy Award nominee Toni Collette stars in this riveting horror film from writer-director Ari Aster (“Munchausen,” “The Strange Thing About the Johnsons”) about a grieving family haunted by tragic and disturbing events. From the producers of “The Witch” and “Split,” “Hereditary” also stars Alex Wolff (“Patriot’s Day,” “My Friend Dahmer”), newcomer Milly Shapiro, Ann Dowd (“The Handmaid’s Tale”) and Gabriel Byrne (“The Man in the Iron Mask,” “Vikings”). Special features include a behind-the-scenes featurette with the cast and crew, which offers a revealing account of what it took to create this harrowing tale. Also included are nine never-before-seen deleted scenes and an “Evil in Miniature” photo gallery. The 4K Ultra HD Combo Pack, Blu-ray Combo Pack, and DVD will be available for the suggested retail price of $42.99, $39.99 and $29.95, respectively. The horror flick “Hostile” is available on DVD, VOD and Digital HD Tuesday Sept. 4 from Sony Home Entertainment and 4Digital Media. A worldwide epidemic has killed most of the planet’s population. The few survivors struggle to find food and shelter. But they are not alone. On her way back from a scavenging mission, Juliette (Brittany Ashworth) has a terrible accident. Stuck in her car, with a broken leg, in the middle of an unforgiving desert, she must survive the perils of the post-apocalypse, while a strange creature prowls around. Acorn TV features the DVD and Blu-ray debut of the humorous and heartbreaking medical drama “The Good Karma Hospital, Series 2” on Tuesday Sept. 4. Set in a colorful coastal town in Southern India, the popular ITV series stars Amrita Acharia (“Game of Thrones”) as junior doctor Ruby Walker, who arrives in India looking for a job and a distraction from her heartbreak, but instead finds the realities of work, life, and even love at an under-resourced and over-worked cottage hospital. The DVD and Blu-ray two-disc sets feature six episodes, plus a bonus behind-the-scenes featurette with an SRP of $39.99 on Amazon.com. “The Good Karma Hospital, Series 2” made its U.S. premiere in April on Acorn TV. The staff of the underfunded Good Karma Hospital in rural India face new challenges as the series returns for its sophomore season. British transplant Dr. Ruby Walker (Acharia) furthers her career under the watch of her formidable boss, Dr. Lydia Fonseca (Amanda Redman, “New Tricks”). While Lydia’s boyfriend, beach bar owner Greg (Neil Morrissey, “Line of Duty,” “Striking Out”), tries to help newly widowed Paul (Philip Jackson, “Agatha Christie’s Poirot”) overcome the death of his wife, Ruby continues to spar with her handsome but standoffish colleague, Dr. Gabriel Varma (James Krishna Floyd, “Falcon”). Then a link to Ruby’s estranged family brings her closer than ever to Gabriel. This hit drama also stars Nimmi Harasgama (“Doctors”) and Darshan Jariwalla (“Sense8”). A 30-minute behind-the-scenes featurette is included. This week, Front Row Features is giving away a copy of the striking Chinese action drama “Brothers” on DVD to five lucky readers. To enter the contest, simply email socalmovieeditor@aol.com by Tuesday Sept. 11 for your chance to win. Good luck! Next PostPhotos: ‘Brothers,’ ‘Hereditary,’ More ‘Good Karma’ Among This Week’s New Titles on Home Entertainment … Plus a Giveaway!! !